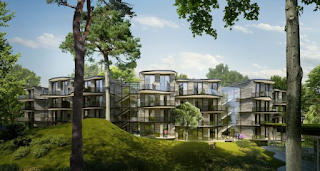 A luxury apartment scheme on a 3-acre site beside Castle Park School in Dalkey has been given the go-ahead. Developer Twinlite has obtained a final planning grant from An Bord Pleanála for the 49-unit development. Initially planning permission was refused by Dun Laoghaire Rathdown County Council for three reasons – most curiously, because the council felt Twinlite needed to consider the future needs of the school and whether it needed space to be retained to allow for its expansion. However the school had sold a portion of its lands for redevelopment in 2004 for a sum believed to be around €19.8 million, which funded a €14.5 million redevelopment of its facilities. In the developer’s appeal to An Bord Pleanála, it argued that the lands could no longer be considered part of the school landholding for future development on the basis that the school had long ago divested itself of any interest in the site. The Bord accepted this position and granted planning permission. Campaigners against a proposed €160 million waste incinerator for Cork Harbour have called for an investigation into the absence of any record of notes from two meetings in 2011 between executives from the company behind the project and civil servants. Cork Harbour Alliance for a Safe Environment (Chase) said it had learned through a Freedom of Information (FoI) request that the meetings took place between Indaver executives and officials from the Department of the Environment without any note of the meetings being placed in the planning file. According to the Chase spokeswoman, Linda Fitzpatrick, the campaign group had sought information from the department on any meetings between it and Indaver and the company’s agents or representatives in 2011. Bord Pleanála has refused planning permission for the development by Kenmare-based energy firm, Rainpower, of a 1.2MW hydro-electric plant on the Owbeg River at Slaght, around 2km outside Kilgarvan, Co Kerry. The ruling represents an unsuccessful attempt by Rainpower to reverse the original decision of Kerry County Council to also refuse planning permission for the project. Rainpower had plans to abstract and divert water from the Owbeg upstream of the Meelick Falls to run through a 1.2km pipe and pass it through a turbine house before returning the water back into the river further downstream. Although permission was previously given in March by Cork City Council, the decision in relation to the redevelopment of the former Square Deal furniture premises on Washington St West had been appealed. The withdrawal of the appeal by the owner of a neighbouring residential and medical facility means Summix WSC Developments Ltd is now approved to begin work subject to the council’s planning conditions. The scheme will provide bed spaces for around 200 students just a five-minute walk from University College Cork’s main campus. An Bord Pleanála should not have granted permission for the construction of more than 500 apartments and houses on former religious order lands beside St Anne’s Park in Raheny, Dublin City Council chief executive Owen Keegan has said. However, Mr Keegan said the council did not have the right to take a judicial review of the board’s decision. The deadline for any party to apply for a judicial review of the case is Tuesday. The board last month granted permission to Crekav Trading for 104 houses and 432 apartments on former playing fields east of St Paul’s College on Sybil Hill Road in Raheny, despite receiving more than 1,000 objections. The first new primary school for Cherrywood on Dublin's southside is a step closer. Hines has put in a planning application for the new school which will be located directly south-west of Tully Park. 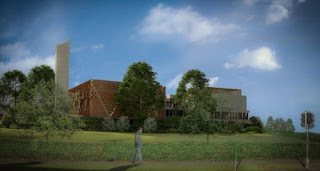 It would take in up to 700 primary pupils, and would have 24 classrooms, a special needs unit and a school hall. Once planning is granted, the development phase will be overseen by the Department of Education. The announcement has been welcomed by the Minister for Education & Skills, Richard Bruton, T.D. Iarnród Éireann has submitted a planning application for a new platform at the Limerick Junction train station. It is expected to cost 3.5 million euro and is expected to be completed by mid-2019. Spokesperson for Iarnród Éireann Jane Cregan says the expansion will allow for greater efficiency. She said: "At present, we woukd have to hold a Dublin bound train outside of Limerick Junction until the Cork bound train has gone through or vice versa, so this will provide for greater efficiency of operations. "It will also mean that we will be installing - subject to planning permission being granted, a lift, stairs and bridge and at Limerick Junction." With demand for more of the several thousand students expected to enrol annually at Cork’s third-level colleges in the next decade to be accommodated in built-for-purpose housing, developers have responded with a raft of projects. Permission has been granted for a number of purpose-built student accommodation schemes in what Cork City Council member John Buttimer describes as a corridor from South Main St in the heart of the city to the lower gates of UCC at Western Rd. Another group of projects have been built, secured planning permission, or await approval either side of the main UCC campus, between The Lough and the Lee Fields at the Carrigrohane Road on the city’s western outskirts. PLANNING PERMISSION HAS been granted for a major planning development near the Kildare-Dublin border. 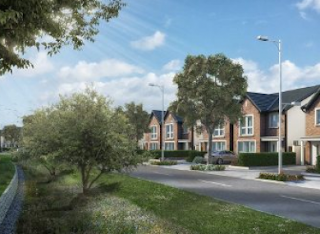 Ardstone Homes will build the 450 homes on a site near the Wonderful Barn monument in Leixlip after utilising the Strategic Housing Development scheme. 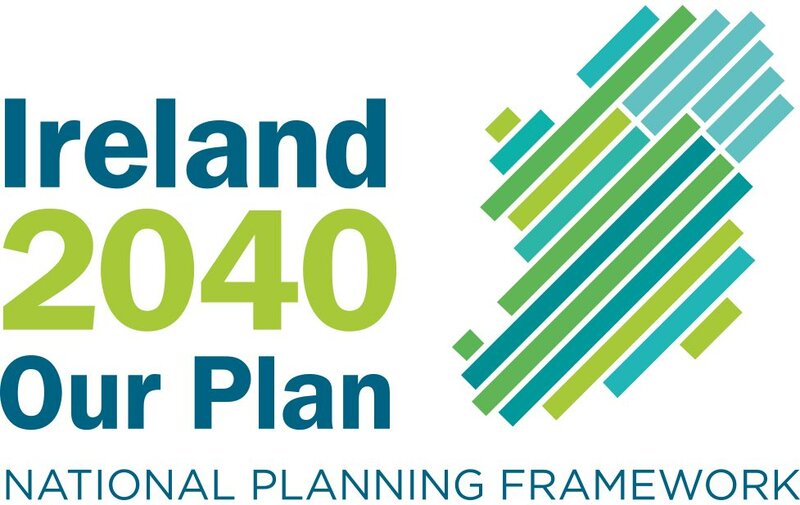 SHD planning allows developments of over 100 homes go straight to An Bord Pleanala, speeding up the application process. It was introduced last year in response to the housing shortage. A Dublin-based neurosurgeon who has received planning permission to build one of the largest mosques in the State has acknowledged there was a lack of public consultation about the project ahead of an appeal by local residents. An Bord Pleanála has said the Shuhada Foundation of Ireland can build a four-storey mosque, community centre and primary school on the site of Warrenstown House, a former HSE facility in Blanchardstown, in west Dublin. Traffic restrictions, which have seen the removal of services for thousands of Dublin bus passengers from Dublin’s College Green, are set to continue into 2019, Dublin City Council has warned. 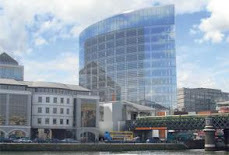 The unexpected length of last month’s An Bord Pleanála appeal hearing on the council’s plans for a €10 million civic plaza at College Green, means a decision on the project is not expected to be issued by the board until August or September, the council’s head of traffic management Brendan O’Brien has said. The board had been due to issue its decision on Friday of this week. The hearing on the council’s proposal to build the pedestrian and cycle plaza and ban all traffic, including buses and taxis, from accessing Dame Street through College Green opened on March 12th, and had been due to last for three days. However, it was not completed until March 29th.